Villages nestled in idyllic rural regions, fairy-tale castles or a bone-chilling seafront? Winter comes with stunning landscapes across the country, some of which we review below. Connecting the region of Moldavia to the Transylvanian Plateau, the Tihuța Pass used to host an old trade road, abandoned at the beginning of the 19th century. It is a place of out-of-time landscapes, surrounded by the Bârgău, Rodnei and Călimani mountains. Recently, this picturesque spot has been hosting a dogsled competition, with participants from both Romania and abroad. The pass attracts tourists who want to see a real-life version of what Bram Stocker described in his Gothic novel Dracula. In Piatra Fântânele there is even a Dracula Castle Hotel. Some 46 km from here is Bistriţa, the northernmost Saxon town in the country, also worth a visit. 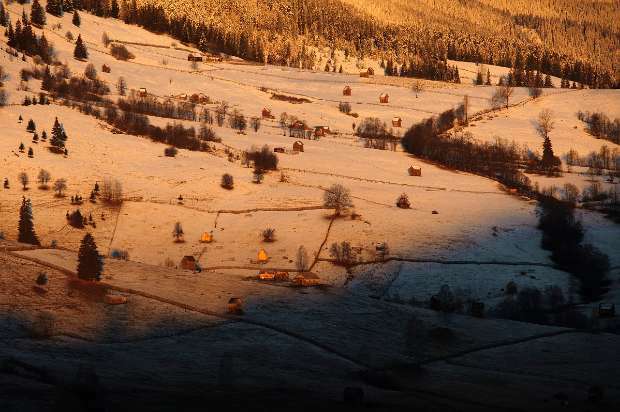 You might know Bucovina as a land of beautiful monasteries, a place where traditions are still part of people’s daily life. It inspired photographer Nicu Spînu for a shot that became the Romania winner of the National Award program of the 2018 Sony World Photography Awards. It is also a winter wonderland, with opportunities for winter sports. Vatra Dornei, in Suceava county, has been a mineral springs and ski resort since the 19th century, when it was part of the Austro-Hungarian Empire. 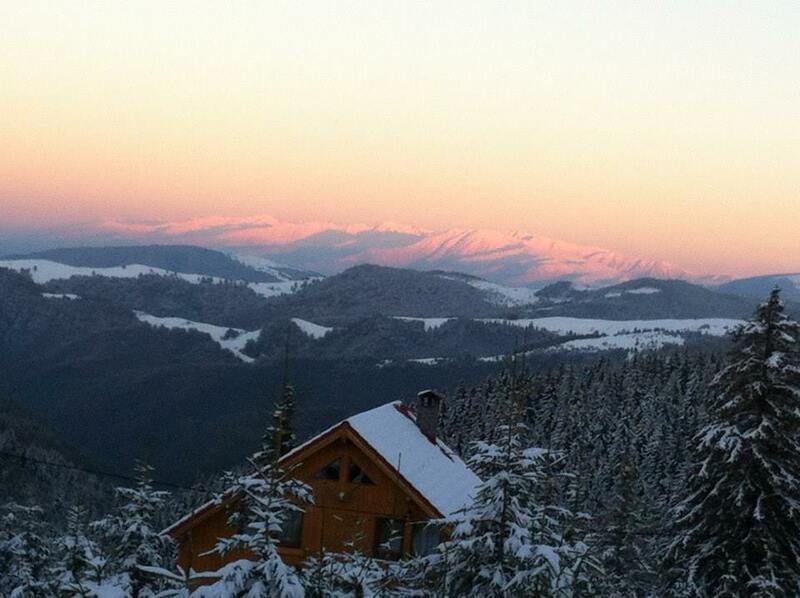 The resort has three slopes, the longest one of 3,200 meters. Visitors can also try a horse-drawn sleigh ride through the snow-covered landscapes, or short horse rides on easy routes. More info is available here. 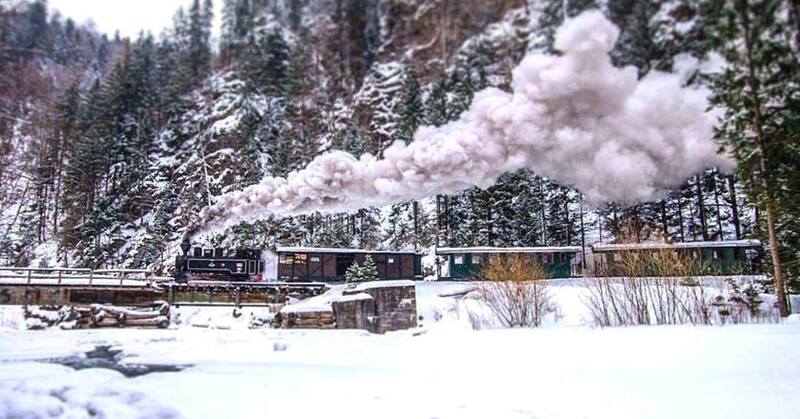 A ride by the steam-train known locally as mocăniţa is a great opportunity to see some gorgeous winter landscapes. In Maramureș, in northern Romania, the steam train runs from Vișeul de Sus to Paltin, for a two-hour ride on the Vaserului valley, on a line was initially built for the transport of wood in the area. The train usually runs from March to September, but additional trips are available for Romania’s National Day, in December and around the New Year. The dates and prices are listed here. An overview of the steam train routes across Romania is here. One of the oldest resorts in the country, Păltiniș is a place where tourists can find good skiing tracks and a snow fun park. 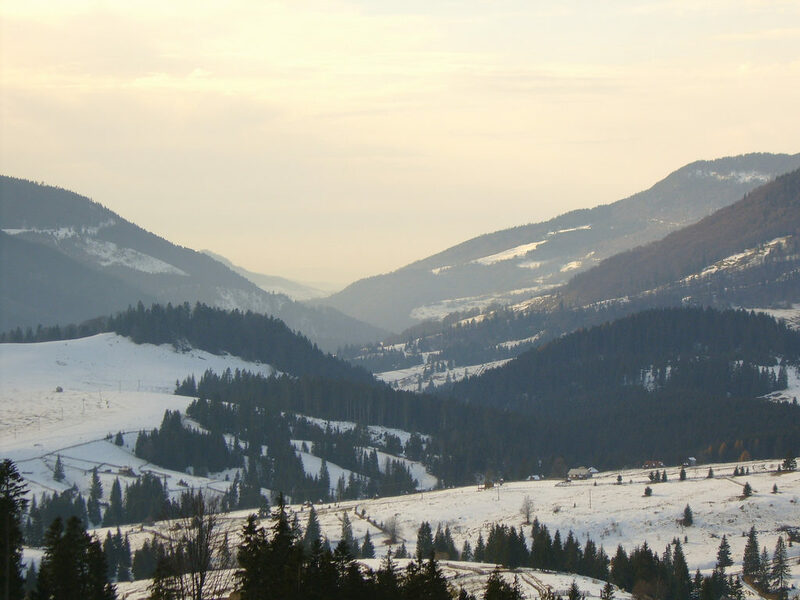 Located northwest from Sibiu, the resort has plenty of hotels, villas, and chalets, and can serve as a starting point for routes through the Cibin Mountains. Păltiniș also has many historical buildings, among them a House of the Tourists (built in 1894), the House of the Doctors (built in 1895), the Monaco Hall (built in 1898), and the house of Romanian philosopher Constantin Noica. A highlight of the winter season in the Făgăraș Mountains is the Ice Hotel built yearly near Bâlea Lake. It usually gets booked before it gets constructed, each year with a different theme. Last year, the theme was music, and tourists had in their rooms ice sculptures of local and international stars such as Madonna, Prince, Elvis Presley or Freddie Mercury. 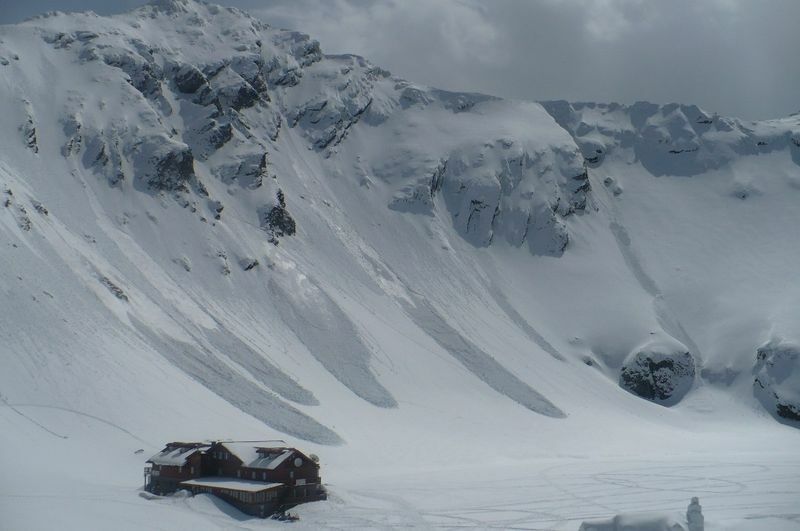 More on the Bâlea Lake and the spectacular high-altitude road, Transfăgărășan, leading there in this article. Rural Transylvania is filled with picturesque villages, from the Saxon ones around Mediaș and Sighișoara, to those in Mărginimea Sibiului. A visit is an opportunity to experience a different pace of life, but also to explore local traditions, many taking now the form of social businesses. 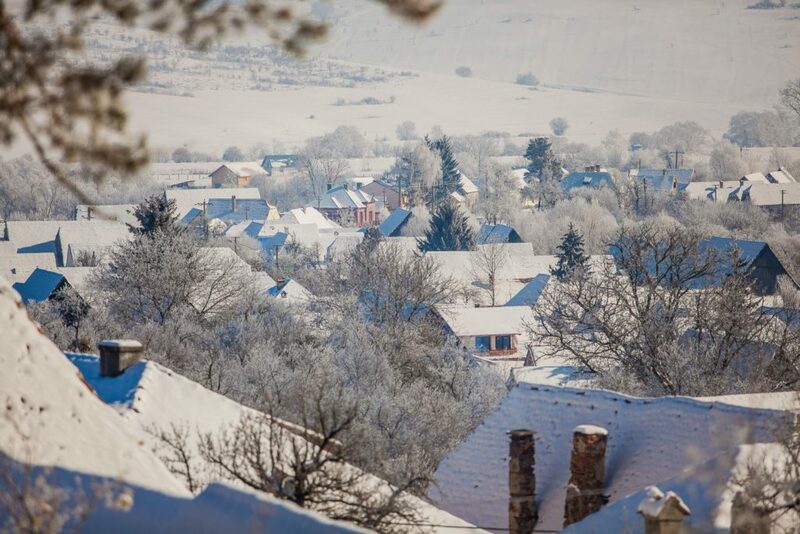 A list of villages to visit in Romania is here. 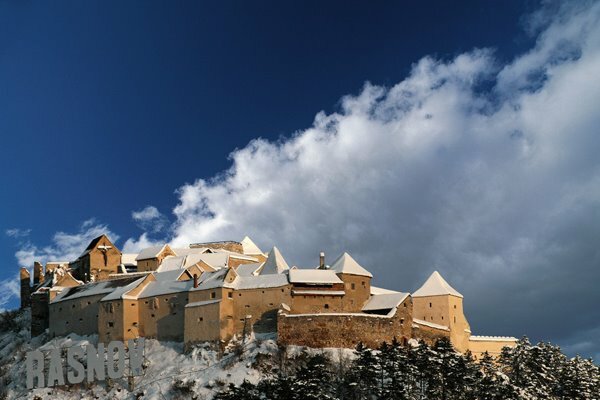 Brașov and the mountain of resorts Sinaia, Bușteni and Predeal are popular with tourists at wintertime but Râșnov has plenty to offer as well, starting with a well-preserved peasant citadel. It offers some neat views of the town and the opportunity to see how Transylvanian villages defended themselves against outside invasions. Very close by is the Fundata or Valea Cetății cave, a visit worth making while in the area. 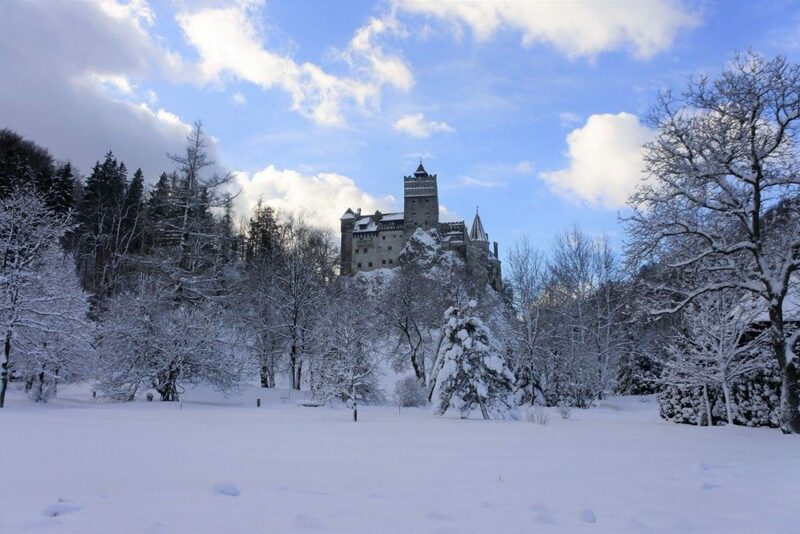 Ten kilometers south of Râșnov is the village of Bran, a popular destination for rural tourism and home to Bran Castle, also known as Dracula’s Castle because of its association with ruler Vlad Țepeș. In recent history, the castle was the property of the Romanian royal family, and Queen Marie left her mark on the interiors of the edifice. Today the castle is the property of Prince Dominic Habsburg-Lothringen, the son of Princess Ileana of Romania, the daughter of King Ferdinand I and Queen Marie. It is a place rich in history and also spectacular views during winter. 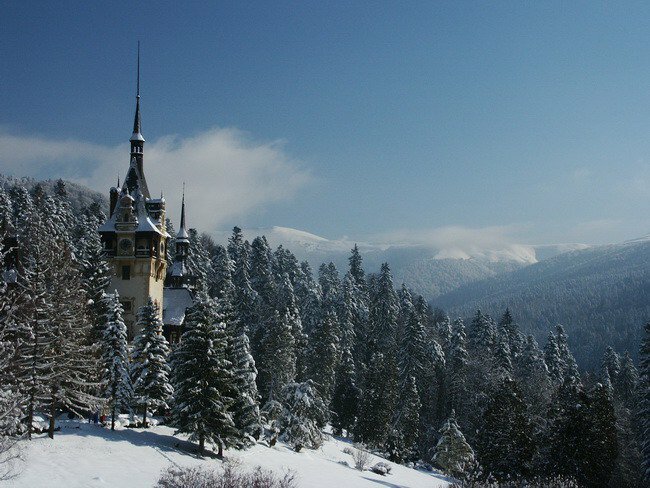 Speaking of fairy-tale castles, at least two others should make the list of scenic winter landscapes. Peleș Castle, built at the request of Romania’s first king, Carol I, is beautiful year-round but at winter it stands out against the snow-covered surrounding forest. A former royal path through the woods starts near the castle and leads to Stâna Regală (Royal Sheep Yard), another opportunity for impressive mountain views. Sinaia, where the castle is located, is a beautiful city itself, with many architectural jewels worth discovering during a trip there. 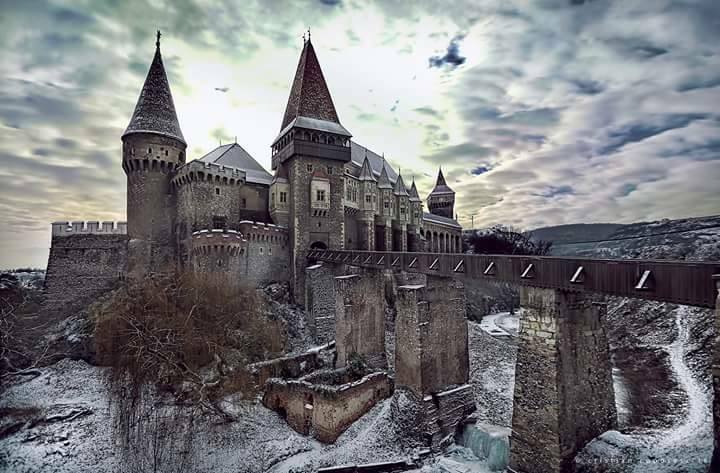 One of the most photographed castles in Transylvania, as the BBC called it in a feature this year, Corvinilor Castle is also one of the most important monuments of Gothic architecture in Romania. Its tall defense towers, bastions and drawbridge all provide plenty of photo opportunities. The castle is often used as a setting for festivals, performances or for films and commercials. For instance, this year’s US box office hit The Nun was partially shot there. The seaside city of Constanța might not be top of the list when it comes to winter travel but the views here during the cold season can be breath-taking. 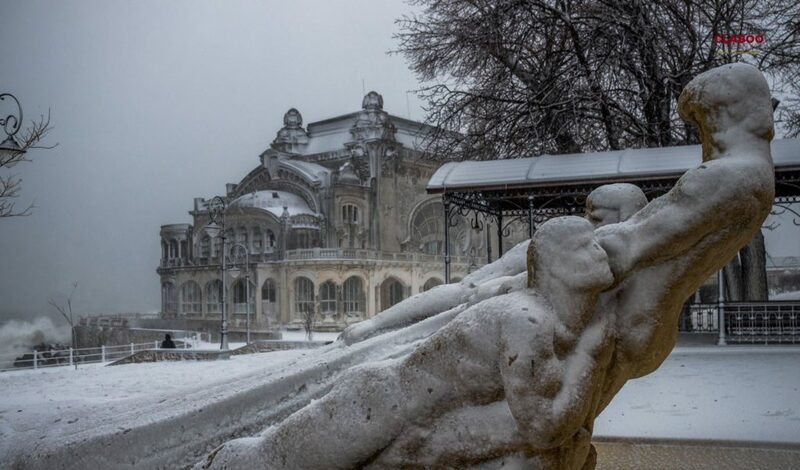 The city’s Casino, a beautiful Art Nouveau building in need of restoration, and the cold waves breaking against the seafront have inspired many photographers. Those planning to add some snapshots of Constanța in winter to their portfolio should be prepared for bitter winds and bone-chilling weather, as described by Roman poet Ovid, who was sent into exile there in 8 AD. More on the city of Constanța and its tourist sites here.